The Support to Connect integration helps Support customers get up and running with Connect by making Support end-user and event data available in the Connect product to use for sending targeted proactive messages. In this article, we’ll describe the purpose and functionality of the integration, as well as directions for enabling and using it. The Support to Connect integration allows you to access your Support end-user and event data from within Connect. 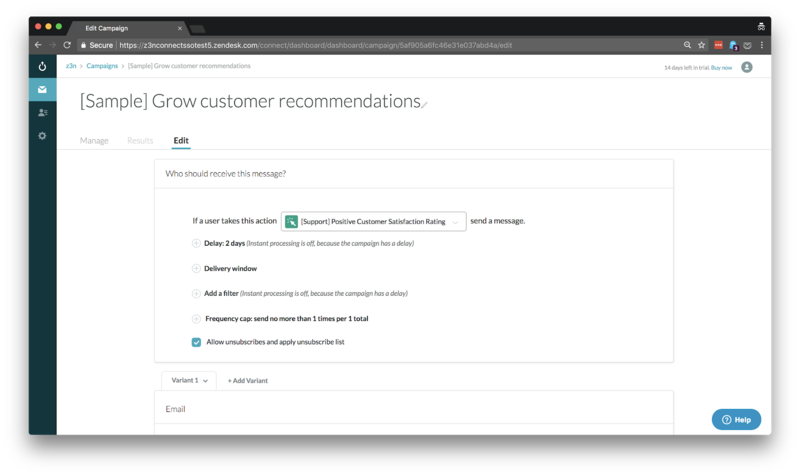 By integrating these two products, you can use that Support data to send targeted, proactive messages to the right end-users. Support user data. End-user records with user attributes and custom user fields are available in Connect to use in targeting campaigns. Any customers that require the product interface in a language other than English (you can still configure campaigns to be configured in languages other than English but the product interface is currently English only). Any customer requiring granular access permissions within Connect. For the initial part of the Limited Availability, once the Support to Connect integration is activated by a Support admin, all agents from the associated Support account (except Light Agents) will be able to access and use Connect. 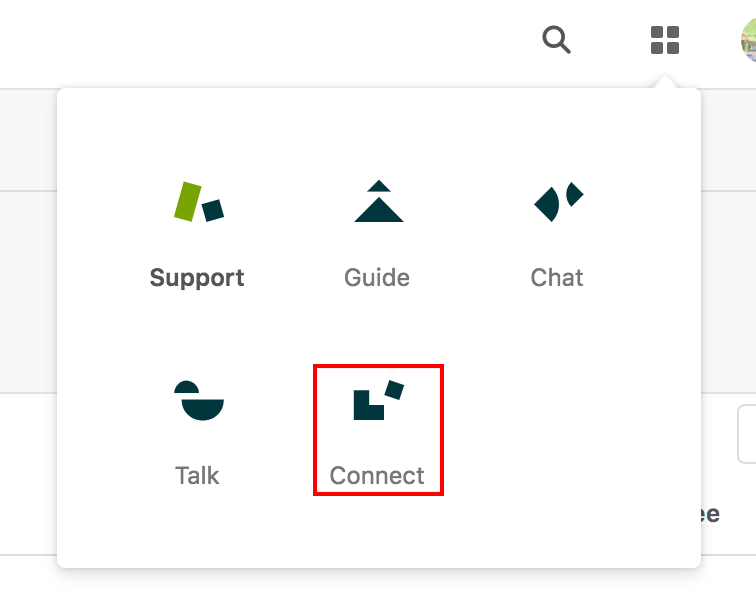 The first time you click on the Connect icon, you will be taken to your Connect account and after agreeing to the Connect Subscription Service Agreement, the Support to Connect integration will be initiated. 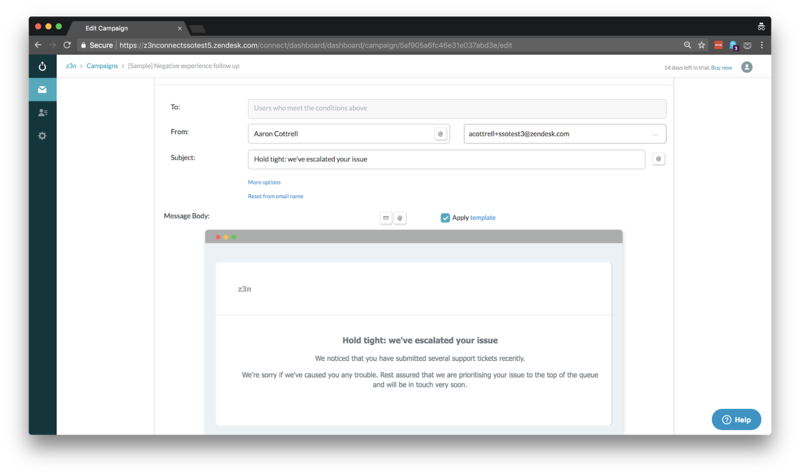 If you have been added to the Limited Availability release, but do not see the Connect icon in your product tray, contact connect-sales@zendesk.com. After you have initiated the integration, as described above, Support information becomes available in Connect. This includes both end-user information and events. Current end-users from your Support account are added as users in Connect, and are available to include in your campaigns. When you update your existing end-users in Support, their user attributes are updated in Connect. When new end-users are created in Support, they are added as users in Connect. Zendesk Support custom user fields (with the exception of drop-down fields) are imported into Connect. Note: Currently, the integration is unidirectional, Support to Connect. Any changes you make to users in Connect, such as adding a user attribute, will not be reflected in Support. When a user performs any of these actions, they are sent as events from your Support account to Connect. 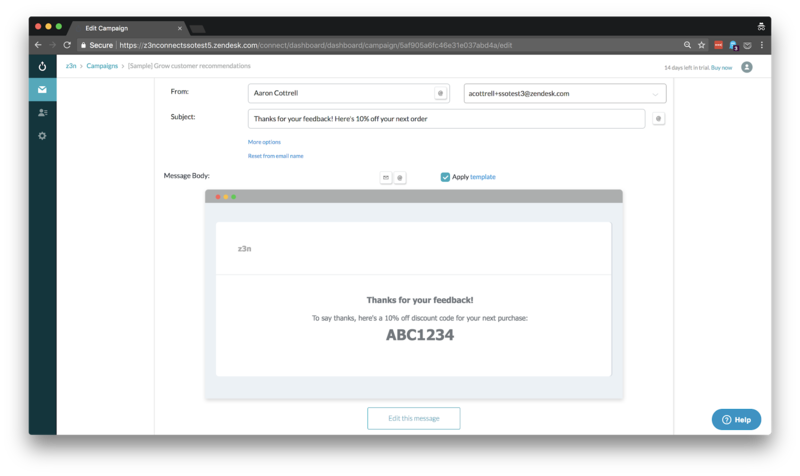 For example, If a user sends an email to your Support email address, the Ticket Created event is sent to their user record in Connect. Zendesk Support events initiated by an end-user are added to the user journey (profile) for that end-user in Connect. Note: Note: You will not see historical Support events in Connect, i.e. you won’t see ticket opened and other events that occurred before you activated the Support to Connect integration. Not all businesses have all their customer data stored within Zendesk Support. It’s common to send user attribute and event data from another data source, such as directly from your website, mobile app or database into Connect. The more user and event data you have in Connect the more targeted you can be with your campaigns. Any extra data you pass in will complement the user and event data from the Support to Connect integration, you will have a more complete picture of your customers and what they have and haven’t done which helps in targeting and sending your customers fewer, better messages. When you first come into Connect, you will see some sample campaigns showing how you can use Zendesk Support data to target proactive messages to your customers. This is the message we would those customers who have opened more than 4 tickets in the last 30 days, acknowledging we’ve observed their high volume of Support tickets and explaining that we plan to escalate their issue. Why aren't my variables being replaced in test emails?